Chris Nickson’s Two Bronze Pennies opens on Christmas Eve 1890 in Leeds, England. Detective Inspector Tom Harper is eager to spend Christmas with his wife Annabelle and to have a break from work. His latter plans are dashed when a young Jewish man living in a nearby district, riddled in poverty, is murdered. His body is posed in the shape of a cross and a bronze penny covers each of his eyes. Just as the investigation begins, Superintendent Kendall orders Harper to act as liaison to Capitaine Bertrand Muyrere, of the French police, who is looking into movie camera inventor Louis Le Prince’s disappearance. Harper struggles with these two obligations: solving a young man’s murder with and his duty to a fellow officer. Making matters more difficult for him is his partner Billy Reed going undercover and the pressure of placating an increasingly angry and frustrated Jewish community who has long suffered in Leeds. 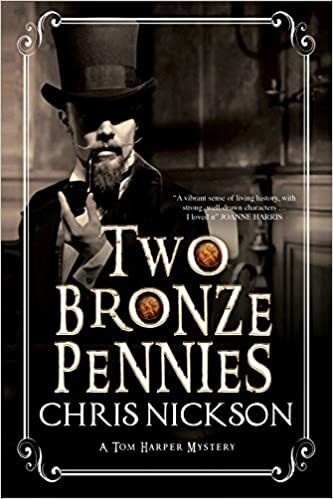 I enjoyed Two Bronze Pennies very much except for one odd story line that of the missing Frenchman. 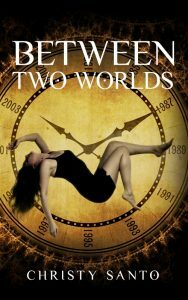 I felt it had no place in the overall plot and the book would have been better without it. Yet even with this story line being included, I would still recommend Two Bronze Pennies.